Larger and heavier than a Mazda 2, the CX-3 logically uses the same 2.0-liter 4-cylinder engine that Mazda installs in other models, pairing it with an optional all-wheel-drive (AWD) system to help with traction in snowstorms. Sport, Touring, and Grand Touring versions are available, priced from $20,840 in Sport trim with no options to $31,730 for a CX-3 Grand Touring with every option. For this review, our expert evaluated a 2016 Mazda CX-3 Touring with front-wheel drive (FWD). Soul Red paint, a remote engine starting system, and a Premium package containing a power sunroof, Bose sound system with HD Radio and satellite radio, and a cargo tonneau cover brought the price to $25,100, including the $880 destination charge.Understanding the demographic of small SUV owners as well as the features they typically favor is an important consideration when evaluating an all-new model like the Mazda CX-3. According to the J.D. Power 2015 U.S. Automotive Performance, Execution and Layout (APEAL) StudySM and the J.D. Power 2015 U.S. Initial Quality StudySM (IQS), small SUV buyers are more often female, and with a median age of 52, they are more often members of the Boomer1 generation. They want a reliable, high-quality vehicle that will be inexpensive to own and maintain, with 85% of them saying that vehicle versatility is important to them. According to J.D. Power research, owners of small SUVs say that the favorite things about their vehicles are (in descending order) the exterior, driving dynamics, interior, seats, and visibility and safety. Their least favorite things are (in descending order) fuel economy, the audio/communication/entertainment/navigation system, the engine/transmission, the heating/ventilation/air conditioning system, and storage and space. In the sections that follow, our expert provides his own assessment of how the new 2016 CX-3 compares with the small SUV segment in each of the 10 categories that comprise the 2015 U.S. APEAL Study. If exterior design is a small SUV owner's favorite thing about their vehicle, then the Mazda CX-3 should earn plenty of praise. Artfully and harmoniously executed, the CX-3's rakish design miraculously makes the subcompact crossover SUV's excessive front overhang and stubby rear end look natural rather than out of place. I especially like the dual round exhaust outlets, which are perfectly in keeping with Mazda's "zoom-zoom" brand values. Sport and Touring versions have silver-painted 16-in. aluminum wheels that look too small, especially on a vehicle with so much gray plastic cladding. The 18-in. 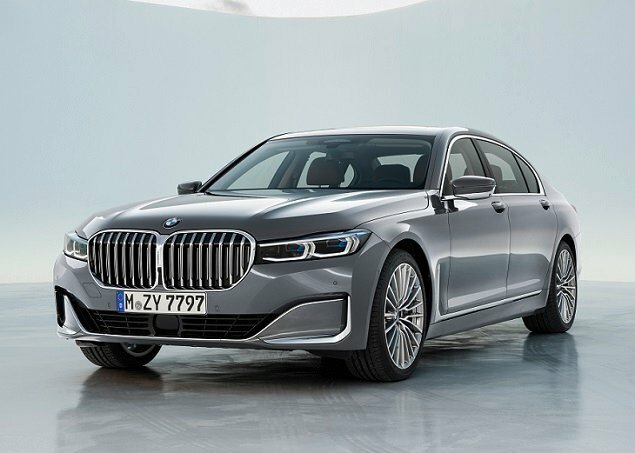 wheels that are exclusive to the Grand Touring trim level provide much greater visual balance to the design, though replacement tires will be more expensive. From my perspective, the Touring's Premium package ought to supply the larger wheels instead of a power sunroof. Note that none of the Mazda CX-3 trim levels offers dark-tinted rear privacy glass. This indicates that the CX-3 does not meet federal guidelines as to what constitutes an SUV and what does not. Minimalism rules inside of the Mazda CX-3. Simplification of controls and elimination of clutter help to provide an environment that keeps the driver focused on the task at hand, even in versions loaded with technology. As one expects in an entry-level vehicle, hard plastic is the norm, but shared componentry with other Mazda vehicles lends the CX-3 a greater sense of quality and sophistication than might be expected. Soft-touch material with exposed stitching gives the dashboard a more premium look and feel, too, and Mazda thoughtfully places padding on the side of the center console to improve comfort. The primary misstep is the center armrest. Added for North American customers, the armrest feels flimsy and cheap, and constantly creaks, detracting from the cabin's sense of quality. Plus, it completely blocks the cupholders when in use. Cloth seats are standard for the CX-3 Sport, while the CX-3 Grand Touring is equipped with leather seats. In the CX-3 Touring, leatherette upholstery is standard, and it does not breathe well on warm or hot days, trapping sweat. Fabric seat inserts help, but do not solve the problem. All versions of the CX-3 include a height-adjustable driver's seat. This, in combination with a tilt-and-telescoping steering wheel that is excellent to grip, provides a proper driving position. The seats themselves are comfortable, too, if a bit small for larger people, but they also start to feel hard after a couple of hours behind the steering wheel. Rear-seat accommodations are cramped for adults as well as for children who must use child safety seats. There simply isn't much legroom in this vehicle. The seat cushion itself sits up high with good thigh support, though, and the front seatbacks are softly padded for improved comfort when it is absolutely necessary to carry passengers. Testing week started with unseasonably warm temperatures, but as cooler weather set in, the CX-3 Touring's standard seat heaters were a welcome upgrade. As for the climate system, it features large knobs, clear markings, and intuitive operation. Round dashboard air vents are shared with the MX-5 Miata sports car, with those closest to the driver delivering a steady supply of warm air to cold fingers as they grip the steering wheel. Included in every CX-3 as standard equipment, the Mazda Connect infotainment system features a tablet-style, touch-sensitive 7-in. display screen. On the center console, a Commander Control knob and primary function buttons allow the driver to operate various functions by memory and touch, and steering wheel controls provide manual or voice-activated access to certain functions. Spending time with the owner's manual in order to understand how Mazda Connect works and to get the system set up to personal preferences is strongly advised. For example, the touch-screen function works only when the CX-3 is not moving. Once the driver accelerates, the touch-sensing feature deactivates in order to reduce driver distraction. In my experience, it is relatively easy to acclimate to Mazda Connect's center console controls. However, in the CX-3, they are awkwardly located, requiring wrist contortions whether the center armrest is lowered or raised. A 7-speaker Bose sound system with HD Radio and satellite radio is an option for the Touring version and is standard for the Grand Touring. Mazda Connect also provides access to Pandora, Stitcher, and Aha Internet radio, as well as Facebook and Twitter. It also provides text-messaging response to let people know that you're driving and will get back to them later. Aside from a large glove box and sizable bins located in the front door panels, storage space is limited. While the center armrest does have an innovative smartphone storage slot, perhaps Mazda could eliminate the CX-3's CD player and turn the space it occupies below the climate system controls into a covered media shelf or bin. Cargo-carrying capability is limited, especially for a crossover SUV. By Mazda's measurements, the CX-3 supplies 12.4 cu. ft. of space behind the rear seat and 44.5 cu. ft. of space with the rear seat folded down. That's less than the Mazda 3 hatchback. Thin windshield pillars and huge side mirrors make it easy to see out of the CX-3, and nesting rear-seat head restraints help to maximize rear visibility. The head restraints must be raised in order for passengers to sit comfortably, and after those passengers exit the vehicle the raised head restraints reduce visibility. A reversing camera is standard equipment; but it lacks clarity at night, showing a highly pixelated image on the Mazda Connect display once the sun goes down. Mazda Connect also includes a subscription-free E911 automatic emergency notification system, which uses a paired smartphone to summon assistance in an emergency or following a collision. The CX-3 Touring is equipped with a blind-spot warning system with rear cross-traffic alert, a feature that came in handy on slick Los Angeles freeways during a rain storm. Though the CX-3 is an entry-level vehicle, the Grand Touring trim level provides access to a number of upscale amenities. Among them is a long list of driver-assistance and collision-avoidance technologies such as adaptive cruise control with proximity warning, forward-collision warning with automatic emergency braking, blind-spot warning with rear cross-traffic alert, lane-departure warning, adaptive headlights, and automatic high-beam control. These features are bundled together in the i-ActiveSense option package, along with automatic headlights and rain-sensing wipers, for $1,970, bringing the price of the CX-3 Grand Touring to $27,790. As this review was written, the CX-3 had not been crash-tested by the federal government or the Insurance Institute for Highway Safety. 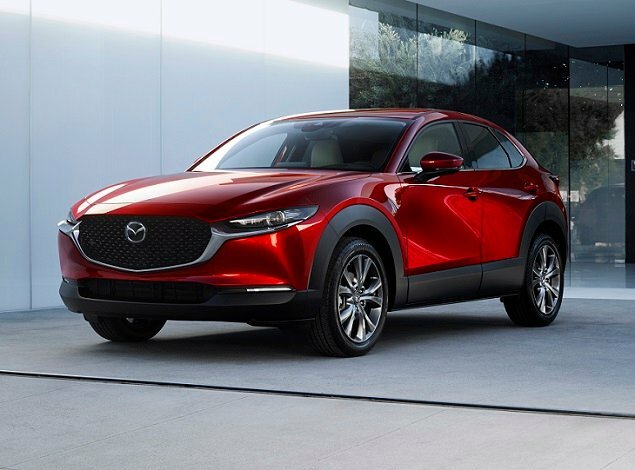 Mazda offers a single engine for the CX-3, a 2.0-liter 4-cylinder rated to make 146 horsepower and 146 lb.-ft. of torque. 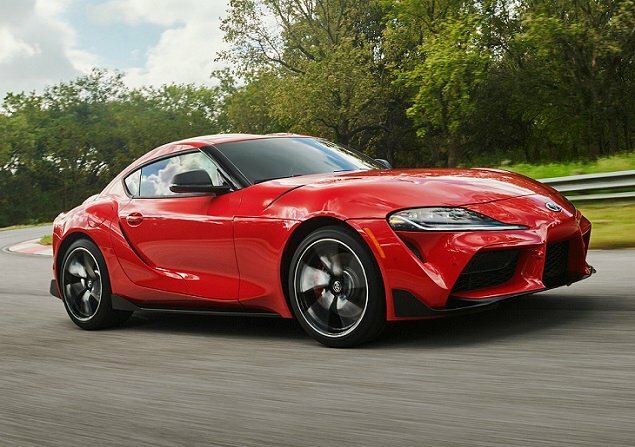 The engine is matched to a standard 6-speed automatic transmission with a sport driving mode and is charged with motivating as much as 2,952 lbs. of crossover SUV. The CX-3 delivers lively performance, the engine well suited to its role. Activate the sport driving mode to kick things up a notch, which really isn't necessary most of the time, as the drivetrain is perfectly responsive in normal mode. The EPA estimates that a Mazda CX-3 with FWD will get 29 mpg city, 35 mpg highway, and 31 mpg in combined driving. On an overnight road trip, the CX-3 returned 34.1 mpg. On the standard test loop, the spunky little SUV averaged 28.8 mpg. To be fair, though, much of the mountain driving was performed with the powertrain in sport mode, which holds engine revs longer and consumes more fuel. Entry-level vehicles tend to be buzzy and loud, especially on the freeway, and that is the case with the Mazda CX-3. Refinement isn't the issue here; rather, the CX-3 lacks isolation from engine, road, and wind noise. Additionally, the short wheelbase and a center of gravity that is taller than a typical car contribute to an occasionally bouncy ride, though the CX-3 never feels unstable. Around town, the CX-3 is zippy and nimble, a jaunty runabout that can be whipped around corners, into parking spaces, and through traffic with ease. As might be expected of a Mazda, the CX-3 shines brightest on a twisty country road. Even with the test vehicle's modest 16-in. wheels and 215/60 all-season tires, the CX-3 Touring was a delight to drive enthusiastically, eagerly diving into S-curves and demonstrating the automaker's focus on dynamism. With sport mode switched on, the transmission did an excellent job of anticipating and selecting the best gear for the immediate situation, displaying crisp, expertly timed shifts and keeping the little engine in the thick of its power band. When accelerating out of corners, even the engine's sound was pleasantly aggressive, and the CX-3 effortlessly powered up mountain grades. The steering is beautifully tuned, feeling just right at all times, and the brake pedal is calibrated for perfect modulation no matter the circumstances. Easily, the Mazda CX-3 is one of the most engaging and entertaining vehicles in its segment, and is likely more so in Grand Touring trim with larger wheels and tires. In this segment, only the polarizing Nissan Juke might equal the Mazda for putting a smile on a driver's face. Increasingly, consumers are choosing subcompact SUVs. As a result, the segment has doubled in size from 2014, with five new nameplates debuting in 2015 and 2016. In terms of styling, features and driving dynamics, especially when equipped with Grand Touring trim, the CX-3 is the tailored and groomed athlete of the bunch, a sophisticated choice available with the latest in infotainment and safety technologies, and genuinely fun to drive. Where the CX-3 falls short is space for passengers and cargo. Additionally, the CX-3 provides just 6.2 in. of maximum ground clearance, 2.5 in. fewer than a Jeep Renegade Trailhawk or Subaru Crosstrek, likely the most capable subcompact SUVs when it comes to battling blizzards or tackling a trail. Priced similarly to the Mazda 3 5-door, the CX-3's primary benefits over that roomier and arguably more refined vehicle are a taller seating position and an optional AWD system. Car companies know that people are willing to pay a premium for those things, as well as the image associated with a crossover SUV. Consumers should have every expectation that this segment will continue to expand in the years to come. Mazda North American Operations supplied the vehicle used for this 2016 Mazda CX-3 review.